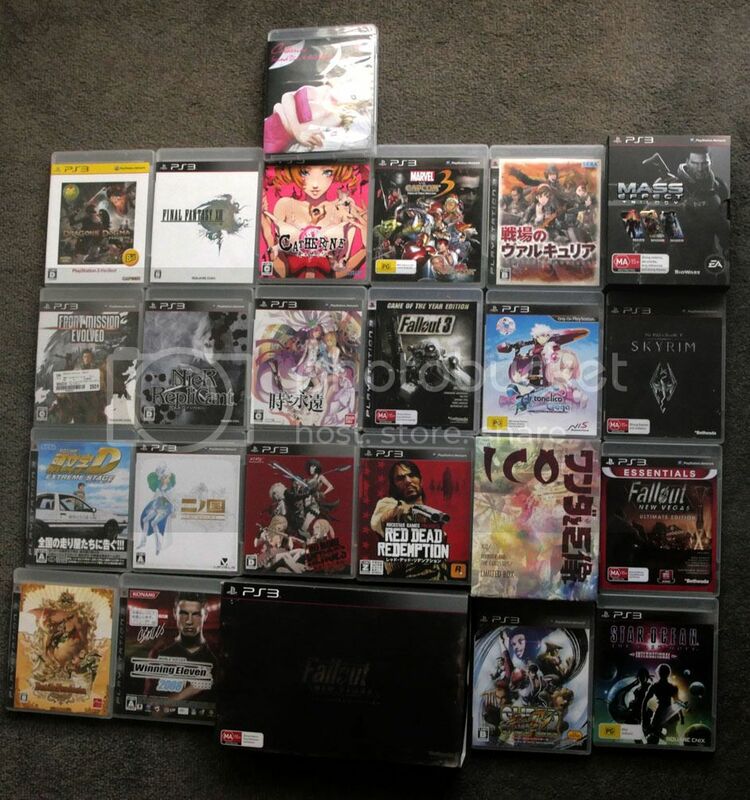 I'm new on the forums and I thought it may be best to introduce myself with a collection. This way, you can see where I'm coming from. I'm also pretty new to forums in general, so if there's anything wrong with the links or anything, please let me know and any help is appreciated. The collection is modest by some standards, but I enjoy almost all of my games. 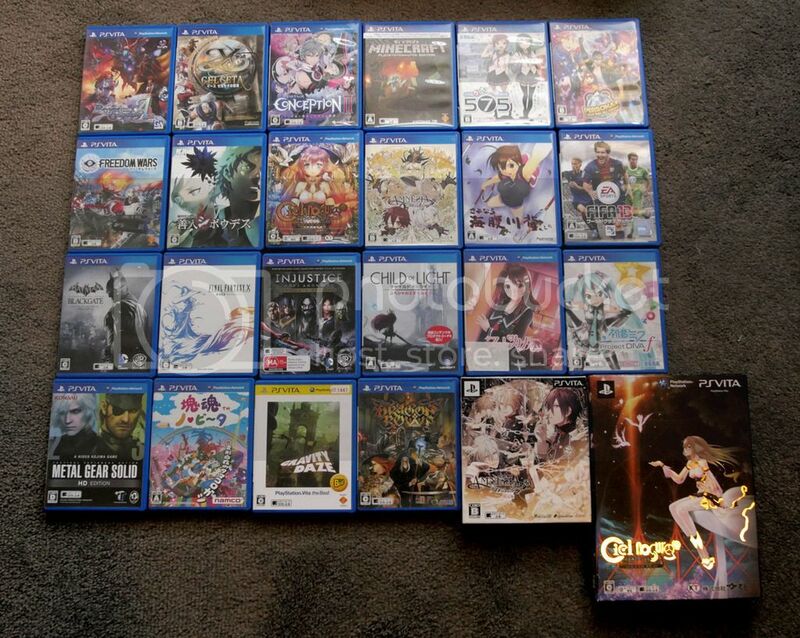 I've rarely bought a game just for collections sake (I'm sure you can see a few). I do, however, love video games as a kind of art history. I enjoy their place in both our childhood and in their place in recent world culture. We have just moved and I've hooked everything up to be played, but not everything is able to be recorded yet. The SCART DVD recorder is fantastic for these things. So, let's start the picture dump, starting with consoles, then recent stuff, then moving down the line. I've also listed my favourite for each, if anybody cares to hear the opinion of some guy. 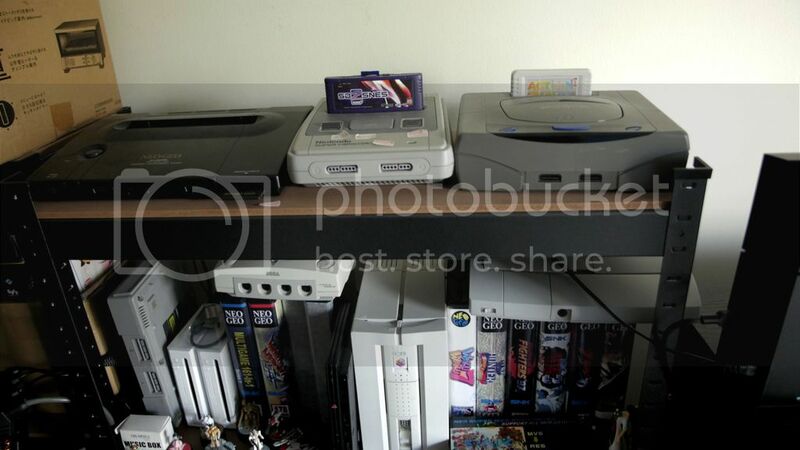 Consoles: Favourite is the Super Famicom and PC-FX. My least favourite is the PS4, which you can see just off frame right. It gets the least amount of use. PS4: Favourite is Natsuiro High School. Vita: Favourite is... difficult. There are so many good games. Maybe Photo Kano Kiss. DS: There are a lot missing. As I said, we just moved and some things are not here. 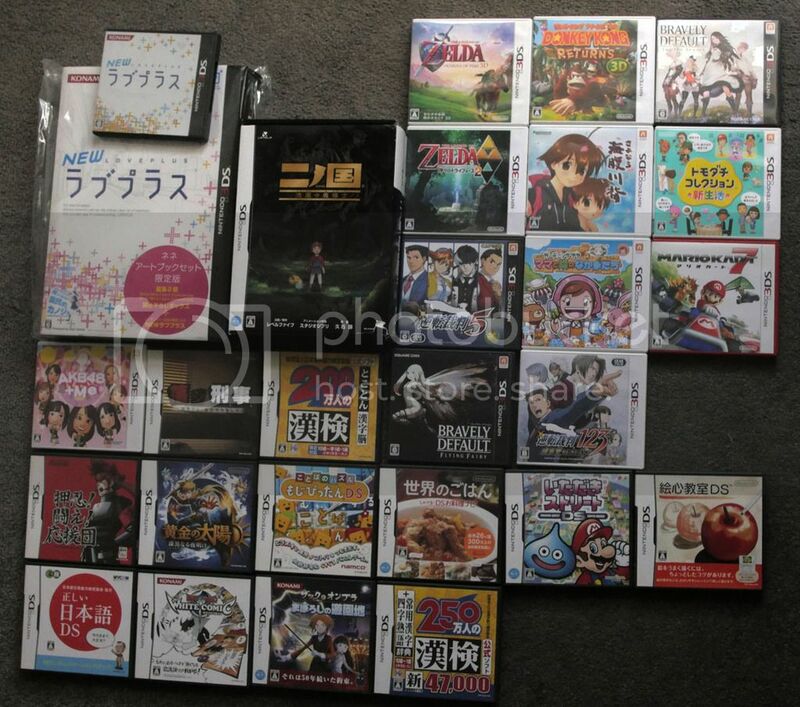 Favourite here is Bravely Default or Love Plus Plus. 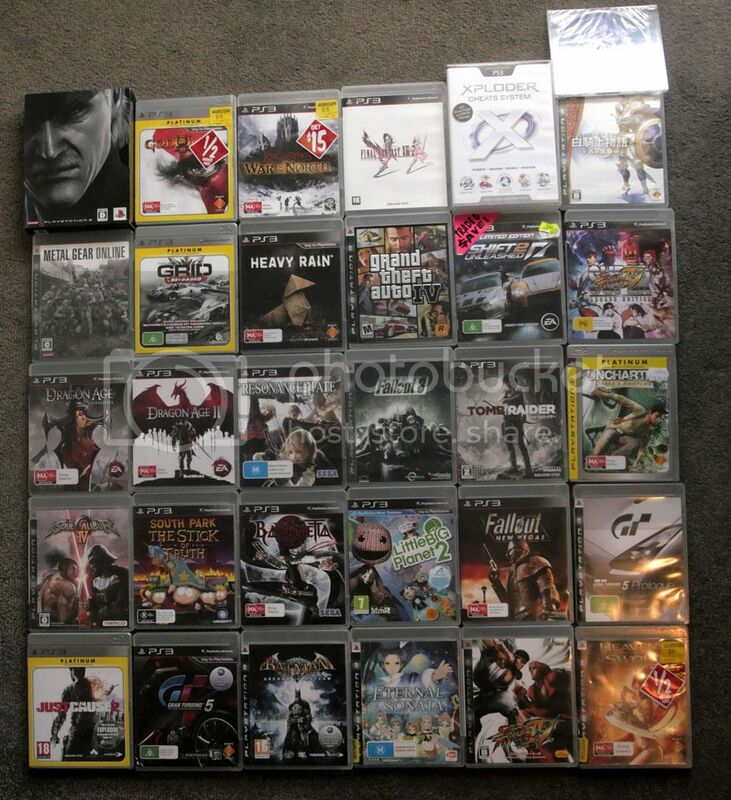 PS3: Favourite is Final Fantasy XIII, but it's hard to choose from some really amazing titles. Gamecube: Zelda, Tact of Wind. Sooooooo good! 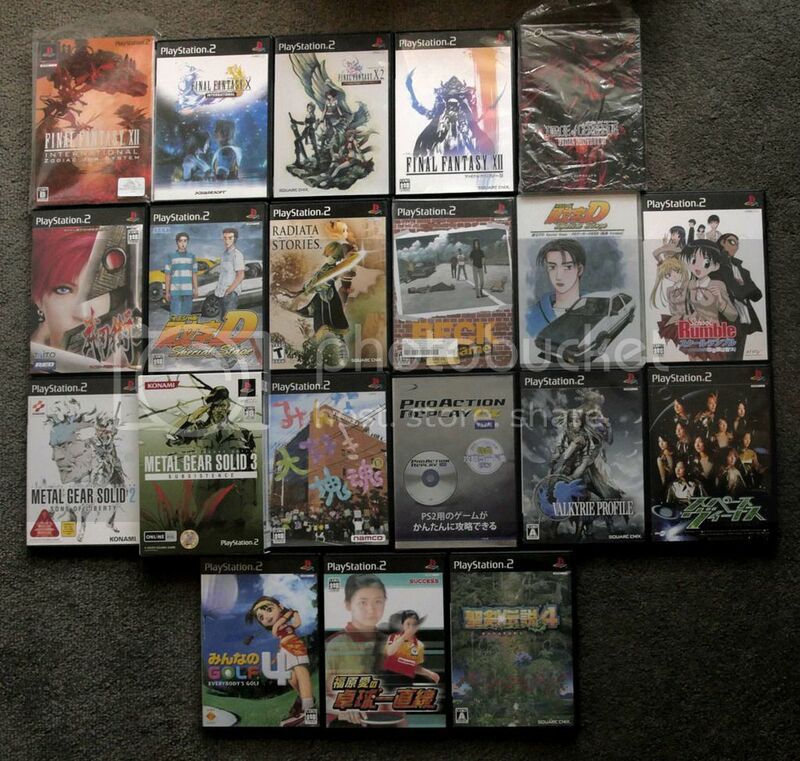 PS2: Initial D: Special Stage and Final Fantasy XII. Saturn: Yea... I don't know much about this and I've only played a couple of these games. This is probably a whole different discussion. 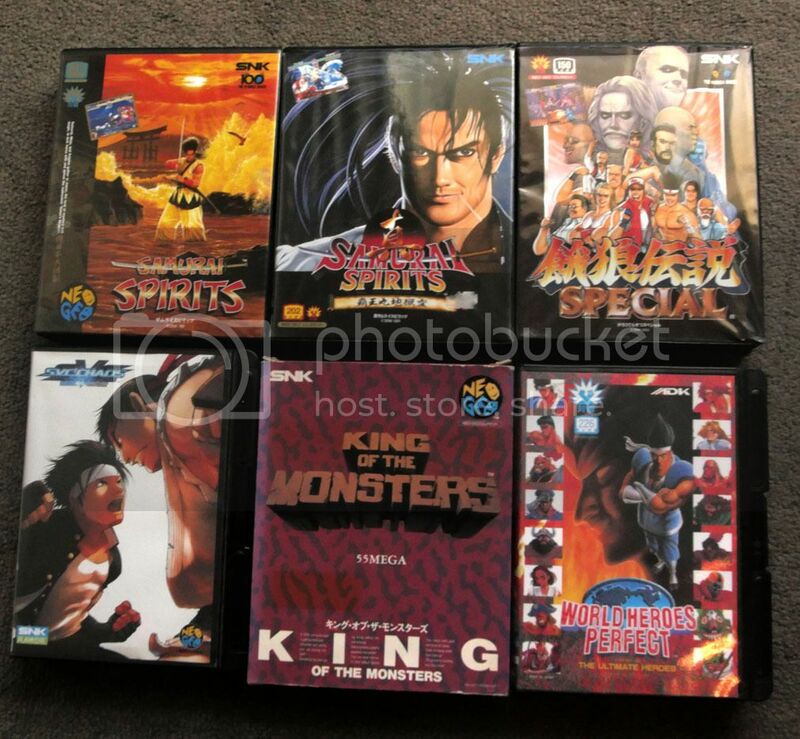 So, favourite is that King game. Because the cover looks cool. 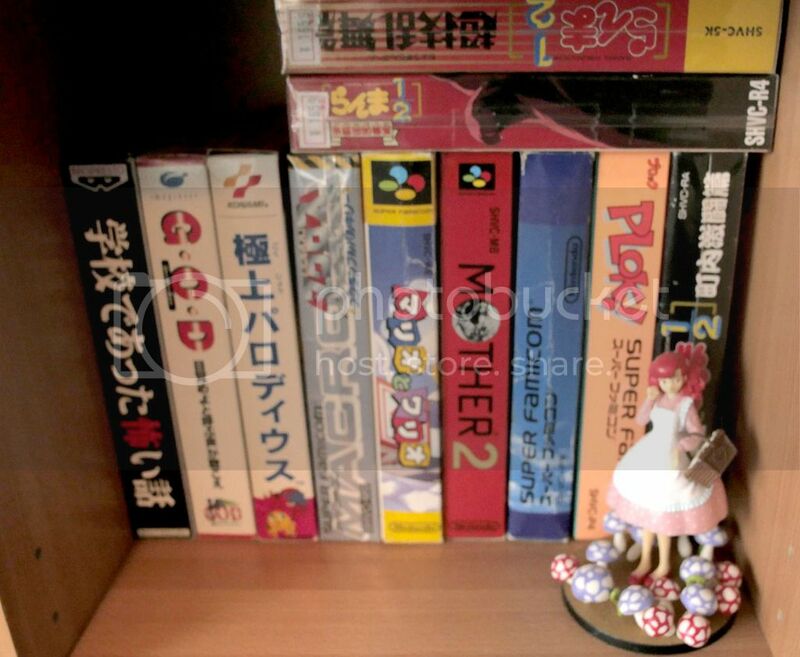 PSX: Tiny collection here. 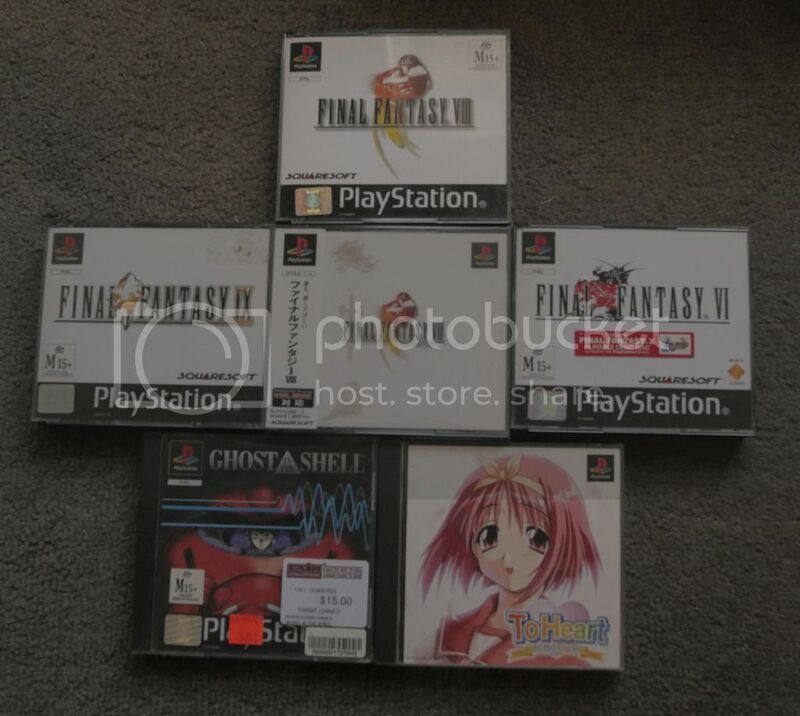 I only bought a PSX for Final Fantasy, the best obviously being VIII. I did have VII, but I lost it and I don't like it, so I haven't replaced it. Maybe one day. 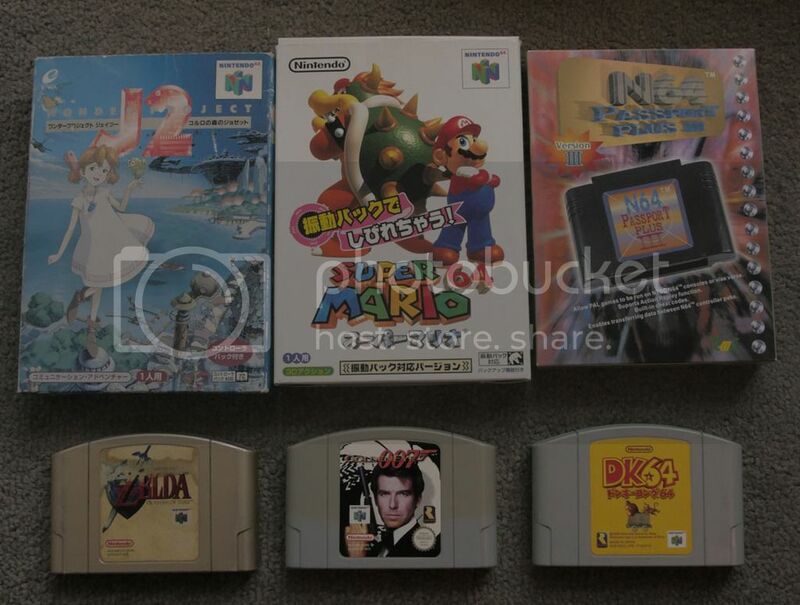 N64: There are a few games missing here, but the collection isn't so big anyway. 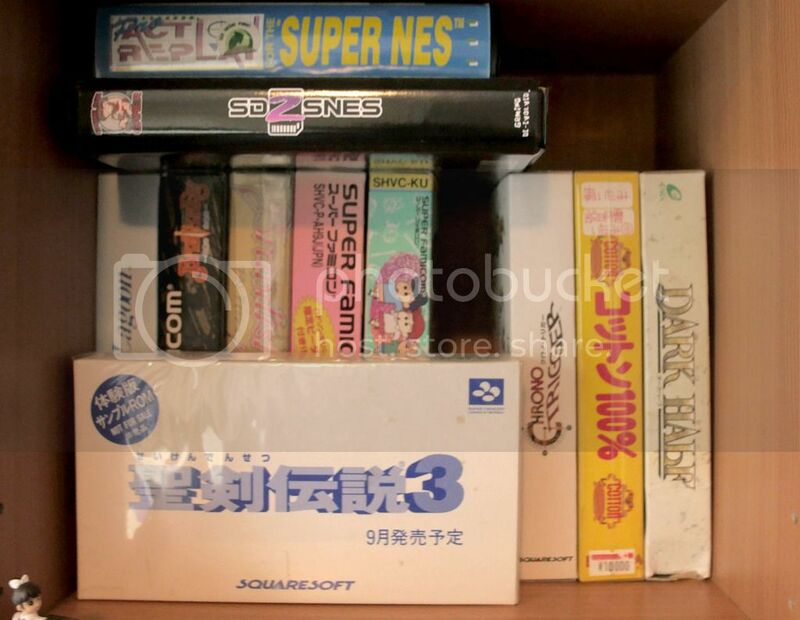 Favourite is that wonderfully kept copy of Zelda. PC-FX: I'm one of those that has been smitten by this console. Favourite is Miraculum. I currently have a few more on the way from the parents-in-law, so this may get updated later. One of them may be a genuine bargain, too! Megadrive: Sega was never a thing when I was growing up. It was always in a distant third place in the race. I've never even seen a Megadrive in the wild. I was given these games and have no way of playing them. Maybe one day. 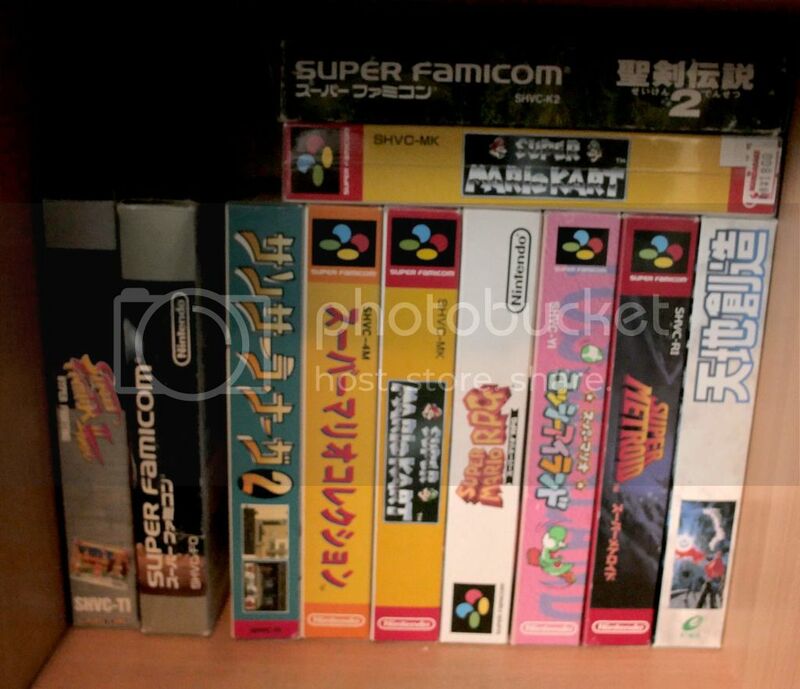 Super Famicom: Where to start? Probably with Final Fantasy 6, then the Seiken Densetsus. 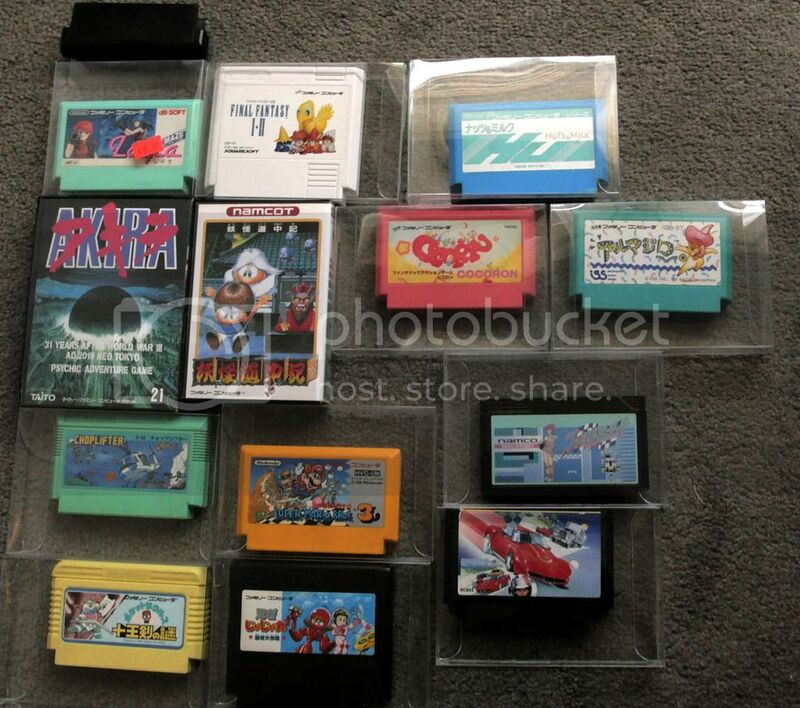 Famicom: Again, a small collection, but Layla is such a fantastic game! 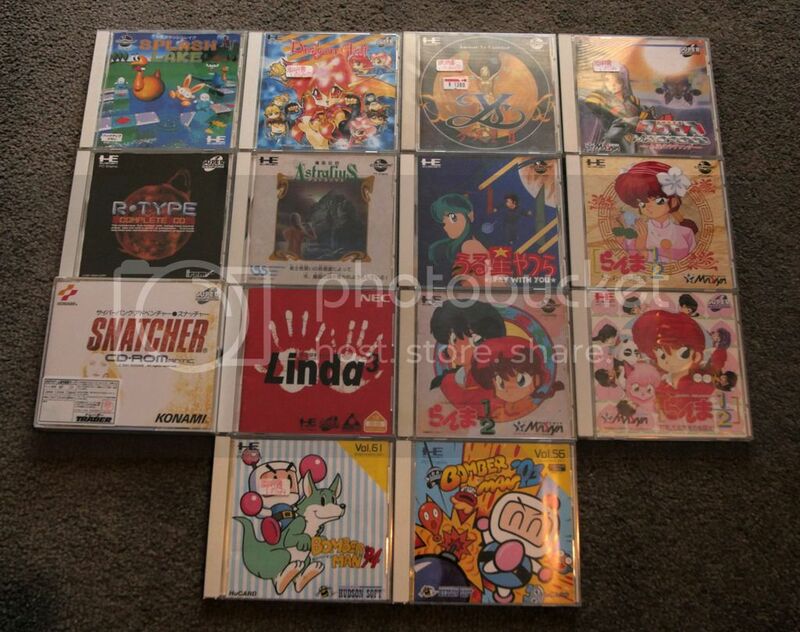 PC Engine: Linda3? Snatcher? Nah, Ys is my favourite. Last edited by DPCameron on Fri Oct 30, 2015 6:14 am, edited 1 time in total. Far from modest - some very good stuff there. Do you live in Japan? I have a PC-FX myself but have yet to put it to good use. BoneSnapDeez wrote: Far from modest - some very good stuff there. Do you live in Japan? At the moment I'm living in Australia, but I still visit often and we'll be moving back in a few years. So, I pick up some stuff every time I go, or it's from when I was living there. A lot of this stuff was from back in the good old days when there were some genuinely great finds in second hand shops. 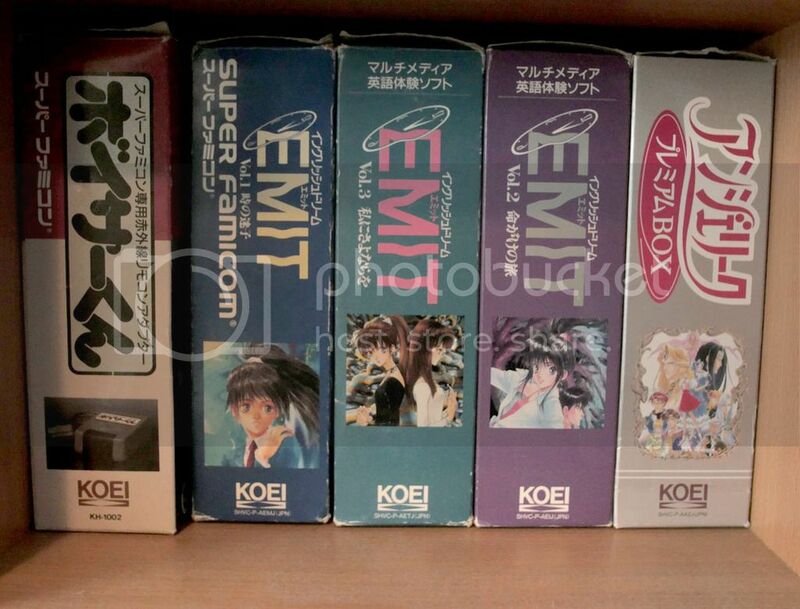 I got both Sufami sample roms from bargain bins at about 2000 yen each. The gold Bomberman was considered special, I guess, so it was in a glass case. I got it for 3000 yen. 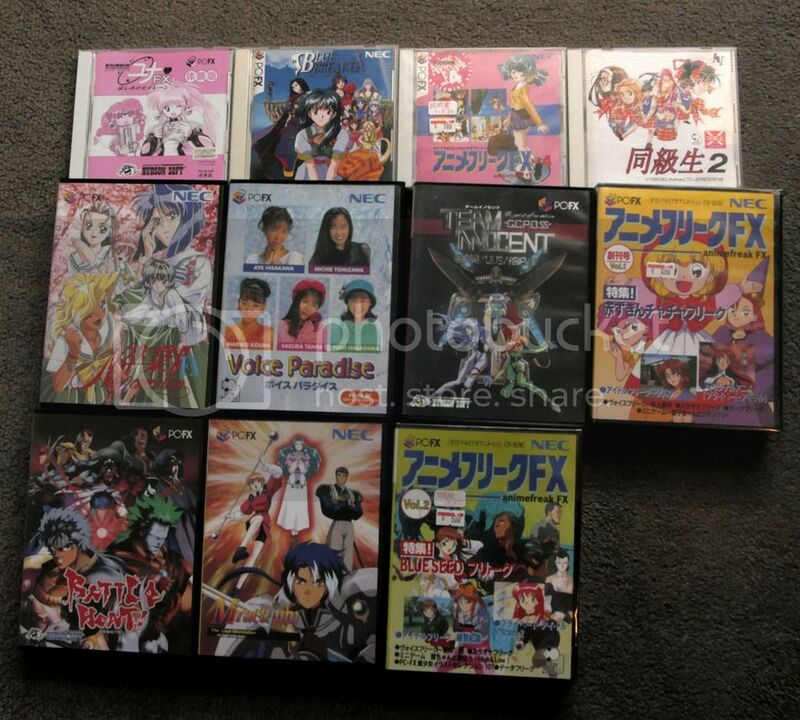 The Saturn games I got as a lot from a shop up north for about 6000 yen (from memory). 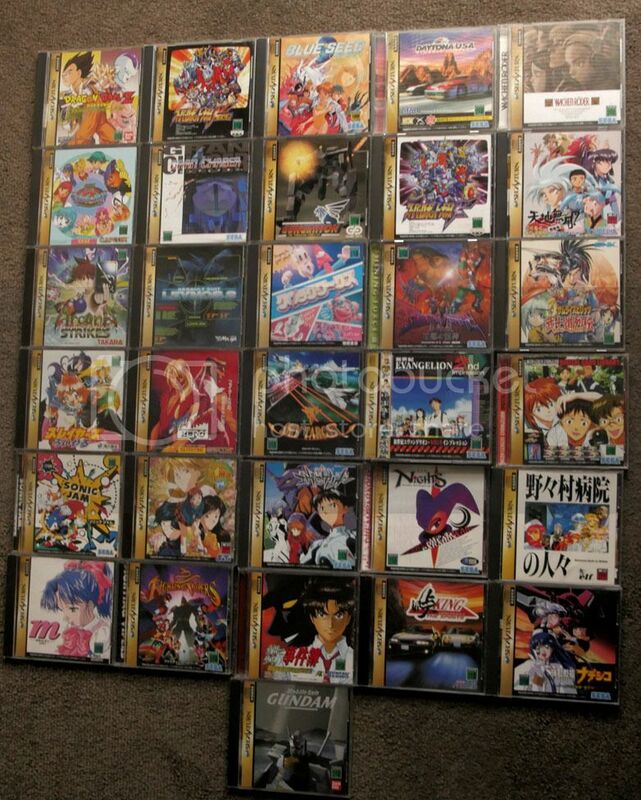 I've only recently got a Saturn, so I will get round to them one day. 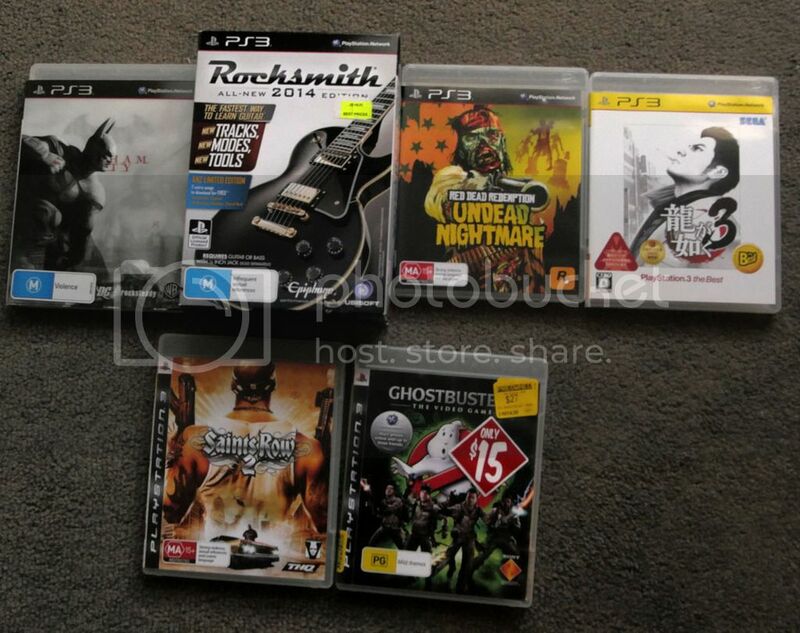 The strange thing is, these bargains are for games that I don't play. Everything else, I bought to play. The PC-FX is such a special system. It's so hard to dislike it when you've actually played it and experienced it. It's often dismissed for some strange reasons, but it does have some great games on it. As a part of history, it's even more wonderful. I love imports like those! 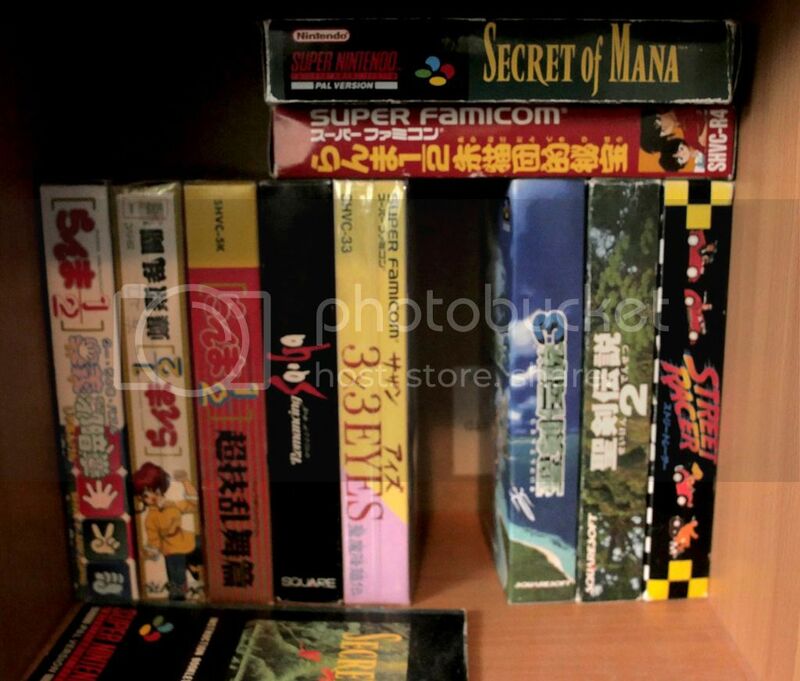 And those Ranma games! 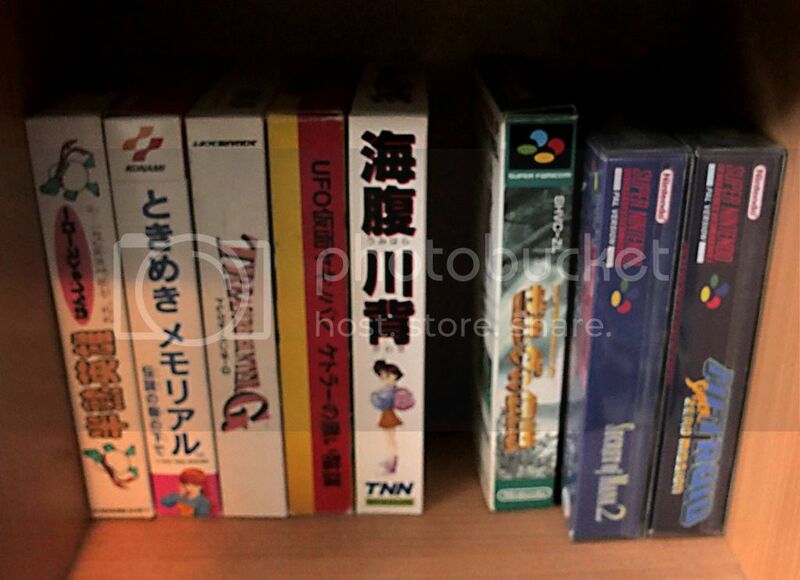 I need to improve on my import collecting, which is pretty much nonexistant. 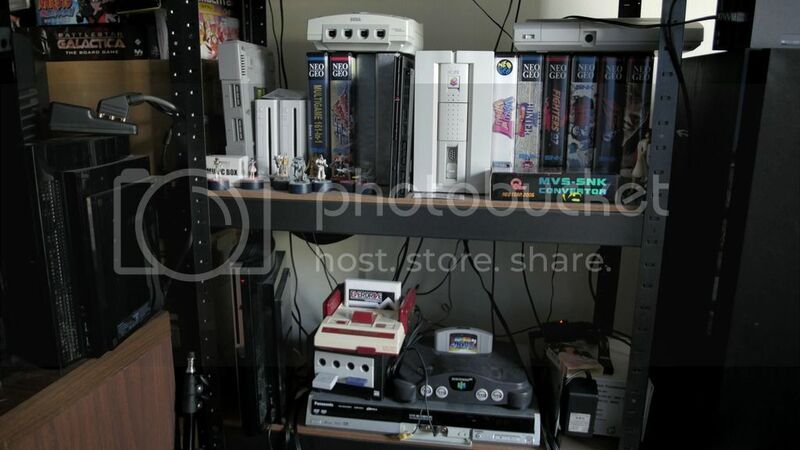 I have plenty of NTSC product to keep me busy or at least stare at my collections on my walls. Happy to see such nice things! I grew up with Lum and Ranma, that's why I get all of their games (^_^) I even have the Urusei Yatsura opening song on record signed by the singer hahaha. I think there are some on Sega consoles, so I'll have to do some more research on those. Importing can be a very expensive thing when you get shipping involved, that's why I try to keep it to my trips to Japan. I leave with a 2kg suitcase and return with 40kg. It's a sickness. I'm happy you said that you stare at your games on the walls. It's like I said up top, they are art history. Enjoy your history!! 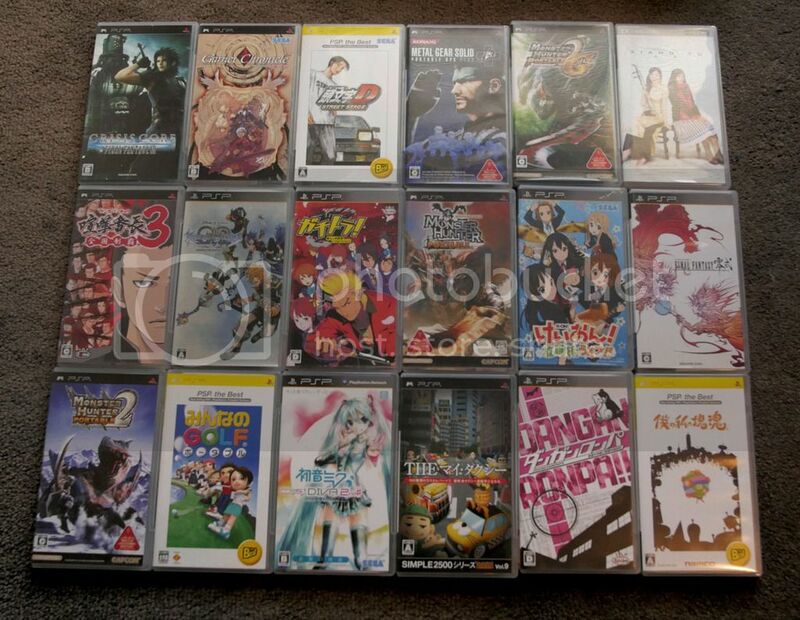 Wow that's a lot of Japanese games (I would hardly call it modest!) Are you Japanese or do you just read it very well? Mostly asking since there are some difficult titles in there. I really want to get into importing more myself, but a lot of times it can get pretty expensive with the shipping costs. 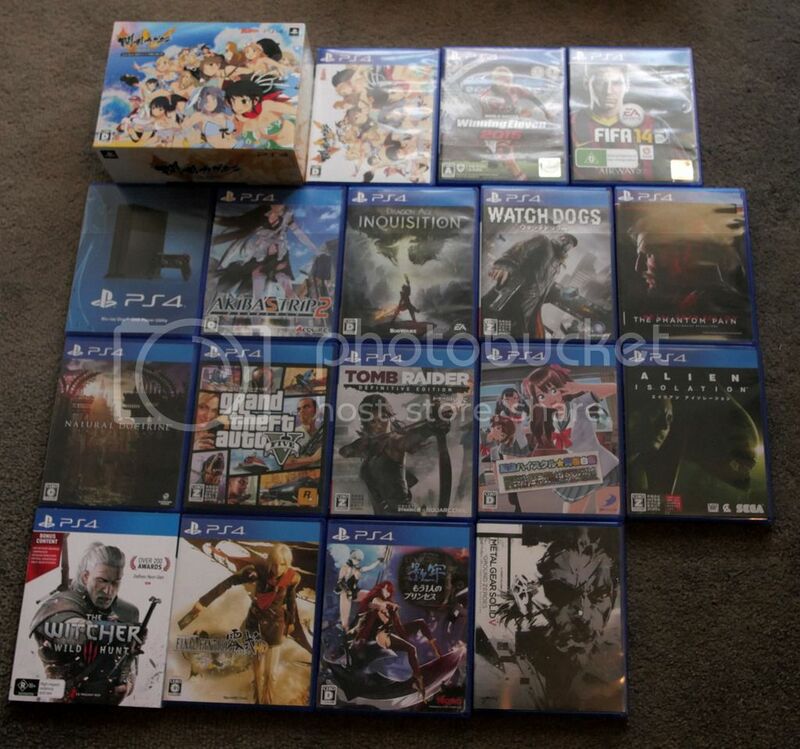 It tends to be not so bad for newer games (cause a lot of sites will have free or cheap shipping) but everything else I just have to get lucky with and find at Pink Gorilla or something. 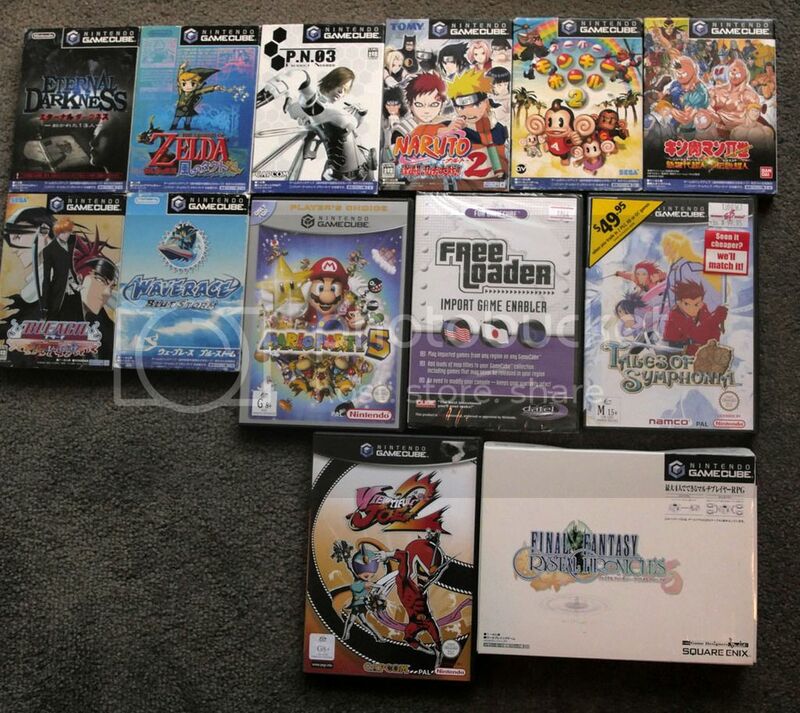 Great collection and welcome to the forums! 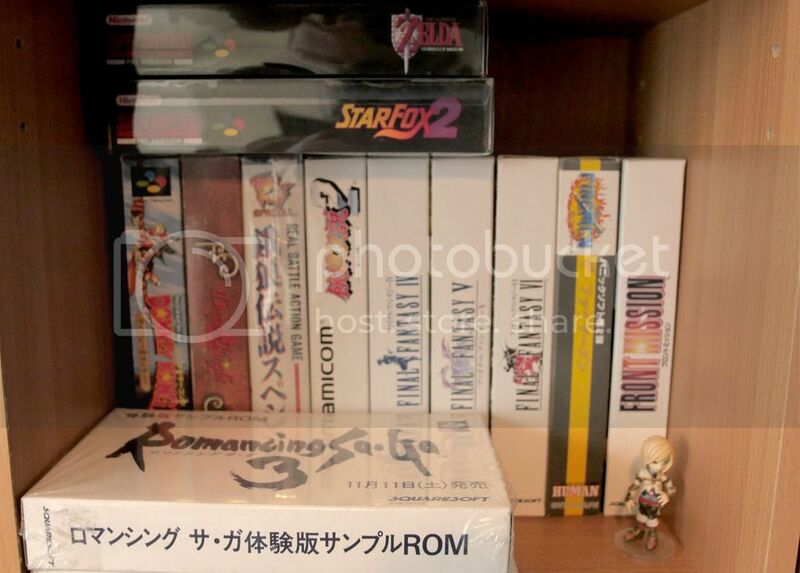 I'm jealous of that Super Famicom & NEO GEO. I'm from North America so we got the [very] ugly [gray and purple] Super Nintendo. 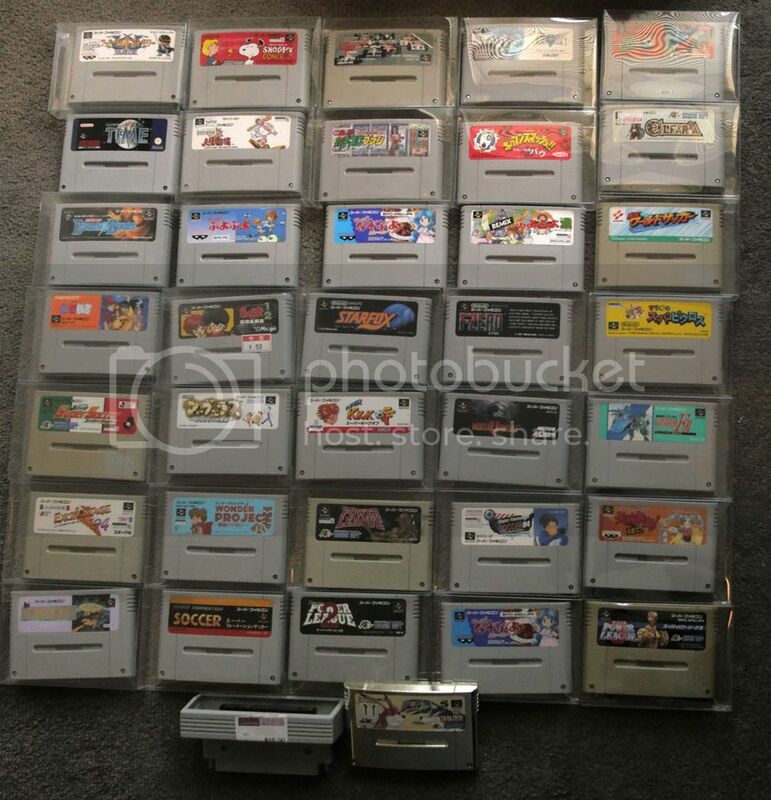 I'd love to have a Super Famicom and Satellaview in my collection, not to mention a NEO GEO with all the Metal Slugs available! Would not call that modest, great games and some great systems. Where in Australia do you live? The retro scene here is expensive! Thank you very much. I adore my collection and I'm very pleased with people enjoying it too. I live in Melbourne. I'm Australian. I was born to a Scottish family, living in Melbourne, lived in Japan for a fair few years. It's a complicated mix. So yea, I read Japanese... OK. Voice acting is my saviour when I can't read the kanji. 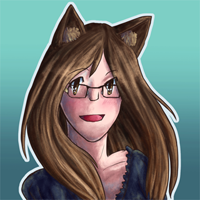 I lived in Japan for 3 years, studying Japanese and teaching English... in Japanese. I'm nowhere near perfect, but it's enough to enjoy games. As for importing in Melbourne... It's a nightmare. 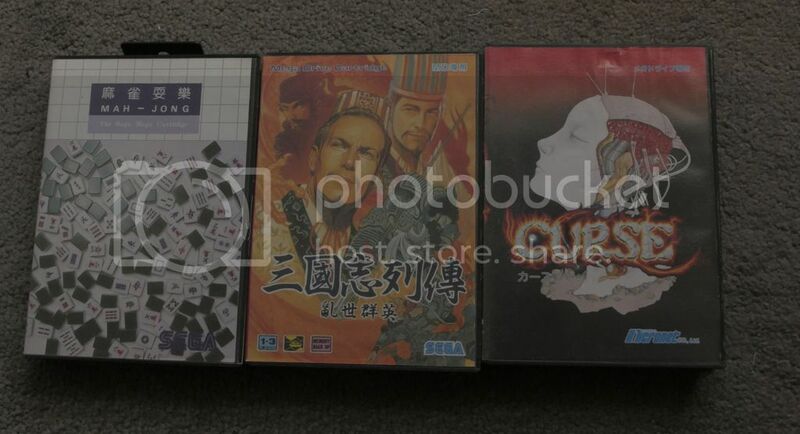 From Japan, if it's one game, then shipping is $20 without blinking. It's stupid when you've only paid $5 for the game! It's kind of crazy when you get used to $400 shipping for 20kg, as we had to do when we came back from our last holiday. 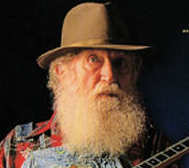 I have seen the American SNES... It's not nice, is it? Even the controller is really "bleh". If that's all there was, it's fine, but the entirety of the world got something far better looking. 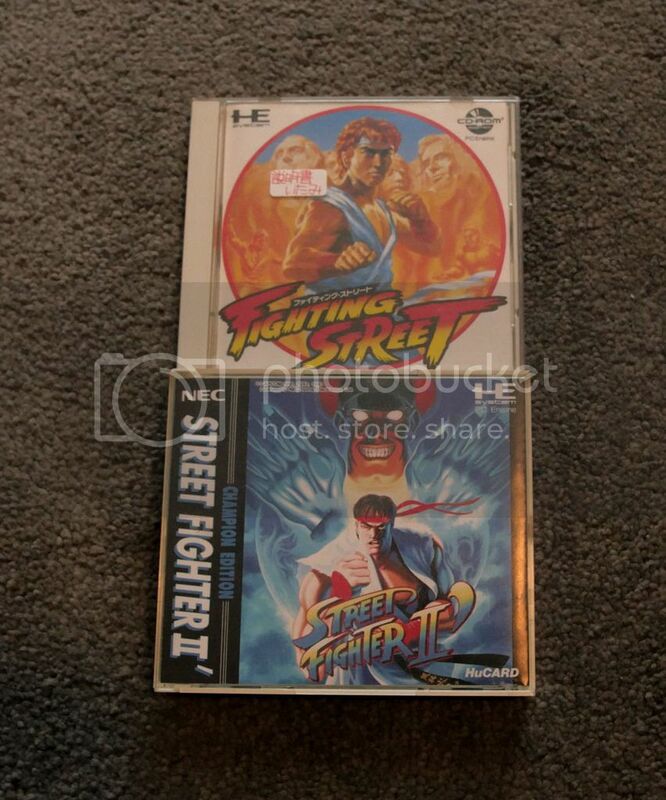 I think in general, older Japanese designs look better than western. Even now, it's still mostly true, but not 100% anymore. That's why I have so many, I think. If you start down the Neo Geo path, it's a dark and long one. I Metal Slug 3 on MVS, which you can see in the photos, but nothing on AES. My most expensive AES is SVC and that was "only" $350. It's a brilliant console with a huge library of great games, though. Just be prepared to live in a cardboard box and not eat.